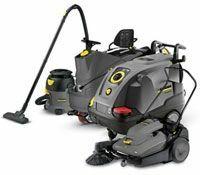 Call Acorn Cleaning Equipment for Karcher industrial and domestic cleaning Equipment. 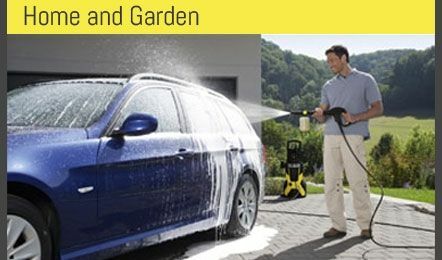 With over 30 years trading and winning Karcher UK top dealer 5 years running, you can depend on us to give you the best value, service and advice around. Most machines are in stock for next day delivery. 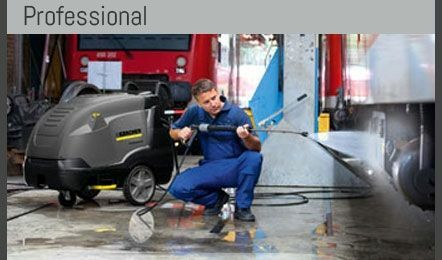 Great deals on lease and outright sales on Karcher hot water pressure washers, jet wash and steam cleaners available from £6.00 + vat a week.We have Service vehicles on the road for repairs, service and free on site demonstrations that cover Huddersfield, Elland, Halifax, Wakefield, Brighouse, Elland, Leeds, York, Manchester, Doncaster, Sheffield, Barnsley, Rotherham and throughout most of Yorkshire. Or why not visit our fully stocked showroom with a huge range of domestic and industrial pressure washers at great prices? We also sell scrubber driers with free on site demonstrations available, health and safety (hse) vacuum cleaners and sweepers. We are able to supply machines from a huge range of stock. There is a machine in each range for most requirements. We have scrubber driers and sweepers small enough to fit into a garage pit, up to large ride-on machines that can cover a 200,000 square foot warehouse, pressure washers that you can clean your car, patio and around the home with or machines big enough to wash out a food factory or clean a fleet of trucks, vacuums for offices or waggons, the list goes on. Contact us for the best level of service and advice. Hot water machines we stock and service / repair include Karcher hds 7/10, karcher hds 6/12 c, Karcher hds 895, Karcher hds 10/20, Karcher hds 601, Karcher hds 745, Karcher hds, Karcher hds 645 and Karcher hds 655. 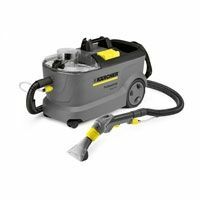 Cold water machines we carry in stock include the Karcher hd 5/11, Karcher hd 6/13, Karcher hd 7/11, Karcher hd855 and the Karcher hd 10/20 and more. 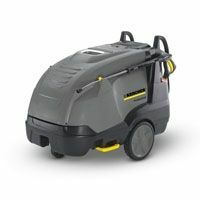 We also offer repairs to all Karcher domestic cleaning equipment including pressure washers, steam cleaners and vacuums. Call our sales team today. In the Professional sector, each cleaning task requires a specific solution. Kärcher's extensive range of professional products has been created to provide solutions for the varied cleaning requirements of businesses around the world. Regardless of the size or type of industry, Kärcher's cleaning solutions have been designed to deliver exceptional results, with maximum efficiency and sustainability as a primary focus at all times. High pressure cleaners clean even better with hot water at the same amount of pressure. Kärcher machines are convenient to use and feature state-of-the-art technology. Kärcher sweepers combine ease of use, clever ergonomics and optimal efficiency to provide a simple and highly effective solution for cleaning your business. 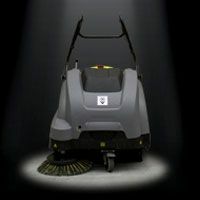 From push sweepers to ride-on sweepers, Kärcher machines offer state-of-the-art sweeping, both indoors and outdoors, removing dirt, dust and debris with ease. At Kärcher, we understand that different floor coverings require different sweeping solutions - for example, a battery-powered sweeper fitted with soft brushes is ideal for sweeping an indoor sports hall, whereas a petrol-powered machine fitted with steel-bristled brushes is perfect for removing stubborn dirt from concreted outdoor areas. Whatever your sweeping needs, Kärcher has a machine to match your requirements. Most machines available for lease or outright purchase.